Within one month, we prepared for a trip to San Juan where we would be spending the next five months growing MakersValley. The reality of it was that no amount of preparation would have prepared us for the experience we were about to have on the Caribbean island and in the accelerator program. After reviewing countless resumes and having back-to-back interviews of very skilled and ambitious talent, we finally selected seven Puerto Ricans to join us. We hired a UX Developer who is studying law and is a social activist; two Growth Hackers of which one was a model and helps run her family's restaurant, and the other had ran a global non-profit organization while living abroad; a Brand Builder who graduated top of her class and is a fashion apprentice and professional salsa dancer; a Graphic Designer who studied architecture and could convert thoughts to art; a Marketing and Sales intern who has big dreams in the fashion industry; and a Front-End Web Development Intern who is ready to tackle problems with code. Each of them played a significant role in our progress in Puerto Rico and we were so grateful for a well-rounded team of change makers. Apart from our new team, the Parallel18 co-working space was filled with Puerto Ricans who were recruited by the other Parallel18 startups in the program and Parallel18 itself also had in-house Fellows who provided support to the startups in the accelerator. Our plan before getting to Puerto Rico was to grow our customers solely in the US. We got further acquainted with the island, its business environment, and the potential it had despite its current economic situation. The Parallel18 team helped us tremendously in understanding the local ecosystem which helped shift our perspective on growing our customer base here locally. Through the outstanding support from Lucy Crespo, Lupe Vazquez, Ruby Davila and Patricia De la Torre, we were able to get our foot in the fashion industry in Puerto Rico which brings us to our next point. 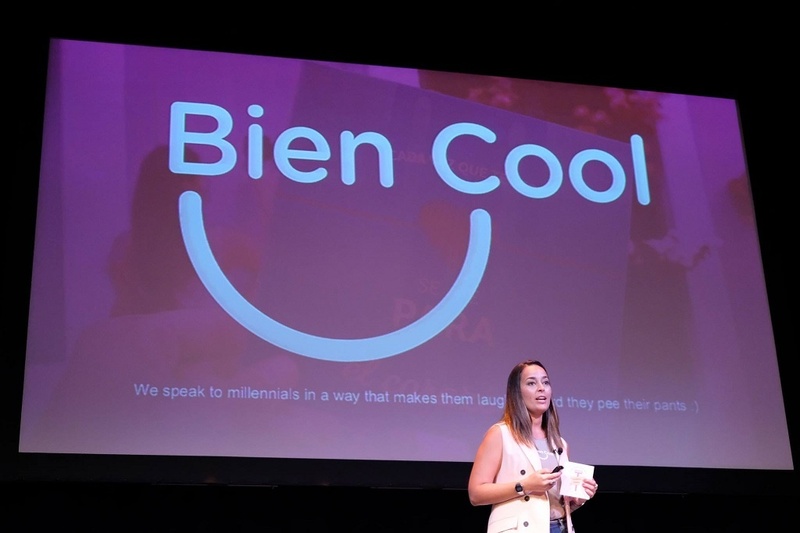 After we began focusing on growing our market in Puerto Rico, we noticed a very rich fashion climate when we met Jaer Caban, Bea Rodriguez, Jackie Tajeda, and we realized that this was the right decision. We decided to organize a networking event "Bring Puerto Rican Designs to Life" with the focus of showcasing local Puerto Rican designers, providing an interaction space for people in the fashion industry (designers, bloggers and boutique owners), as well as officially launch MakersValley operations on the island. The event was held at La Social in Condado with great support from the owners who ended up becoming our first customers on the island. We also participated in San Juan Moda, one of Puerto Rico's notable fashion events where we witnessed a great display of art and vision. 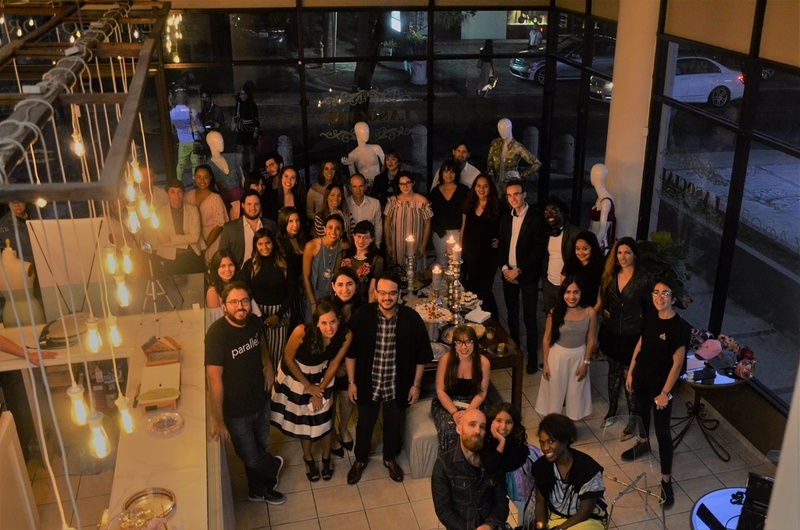 This event, as well as independent fashion shows for emerging designers such as Ana Maria Rodriguez, showed us that Puerto Rico has a lot to offer in the world of fashion. As a result of all this activity, 70% of our new customers since arriving in Puerto Rico live here in the island and many more are joining our community each week to help bring their designs to life in Italy. 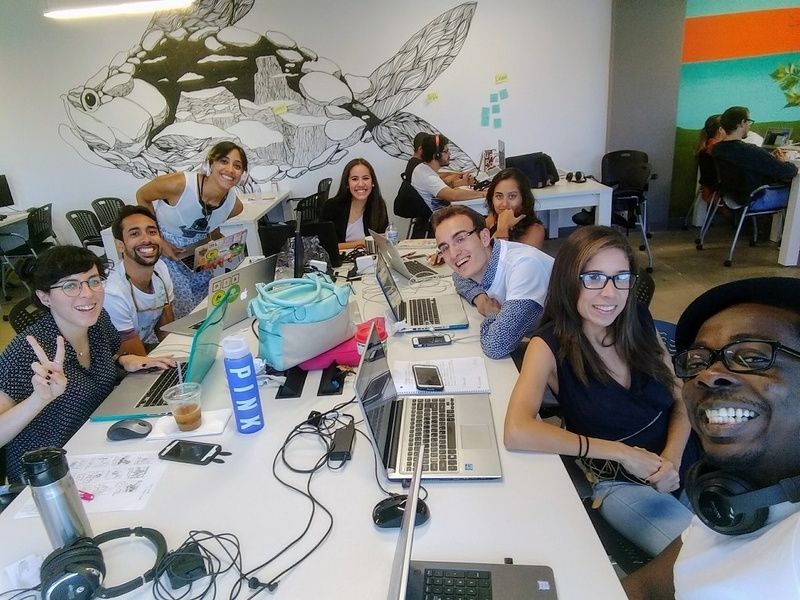 Over the past five months, we worked out of the Parallel18 office on Avenida Ponce de Leon in Santurce. The Avendia itself was lined with abandoned buildings which indicated a decline in the neighborhood over time. However, while we were there we noticed buildings being renovated and businesses springing up from within these abandoned buildings and new bars, restaurants, apartments, business centers and co-working spaces were all slowly emerging. Santurce gave us a sense of revival. This is more evident with the recent move of co-working space Piloto 151 from Old San Juan to Santurce. Parallel18 offers startups a tremendous amount in terms of resources and access to industry experts who were ready to help startups in the program grow. In less than two years, Parallel18 has accelerated over 100 startups with a total of 1,872 entrepreneurs coming from more than 40 countries. They are bringing all of this to Puerto Rico. One of the greatest aspects of the Parallel18 program is their access to mentors who come from different industries, backgrounds and companies who have the practical experience to give master classes with very essential information for startups. They cover topics such as user experience, storytelling, raising capital through angel investors and venture capitalists, hypergrowth, hiring the right talent, expanding into Latin America, and so much more. Most of what we learned during the program is being used by us now on a daily basis. We also received mentorship from Gary Bonilla who gave us close and personalized guidance throughout the program. The Parallel18 team closely monitors the progress of every startup through weekly KPI meetings which helps steer startups to success and give recommendations that they could start implementing to grow over the next week. They also provide great feedback and ideas in areas of marketing, sales, and business development which helped us significantly. Also, as part of the program, all the startups are required to participate in social activities on the island and contribute to the development of the ecosystem. These activities included participating in hackathons, speaking at university seminars or community events, engaging with young people on the island, and organizing a workshop for entrepreneurs. These activities facilitated direct interaction between local and international startups with the locals, thus sparking a chain reaction to grow the startup ecosystem on the island. This is only the tip of the iceberg when it comes to what Paralle18 has to offer to Puerto Rico and startups. You can take a look at their impact report to learn more about their progress and success so far. As time passes more and more great initiatives are being launched on the island to further grow startups from Puerto Rico, which in turn have an excellent impact on the economy as well. 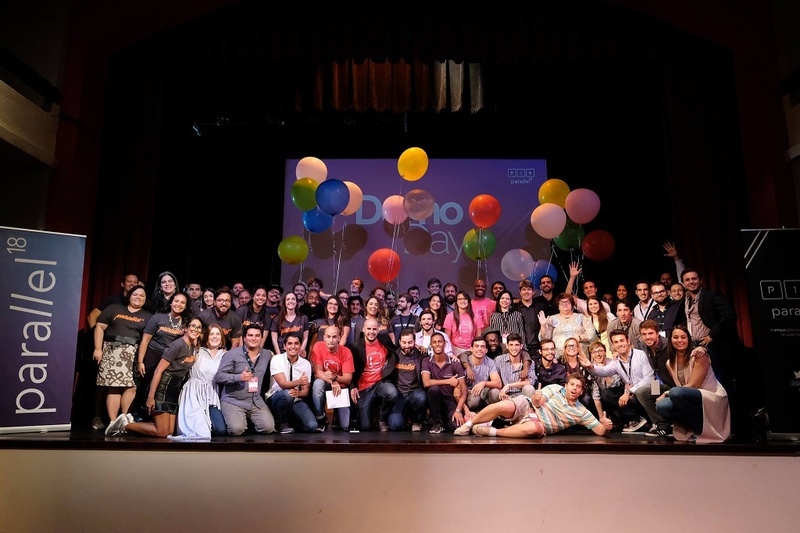 Apart from Parallel18, there are funds, programs and events such as StartUp Popular, Guayacan's Programs, StartUp Weekend, FuckUp Nights and many more have contributed to the on-going growth of this ecosystem. 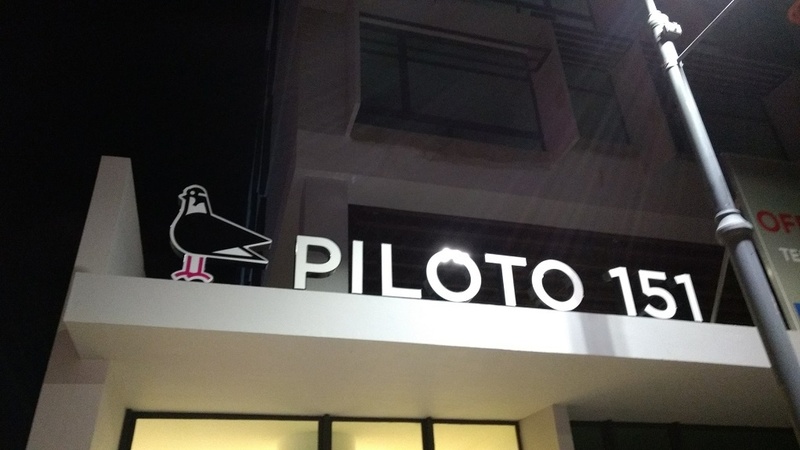 There has also been a rise in the number of co-working spaces such as Piloto 151, co.co.haus, Engine-4 to feed startups with great working environments where they can collaborate and work at their own pace. It goes without saying that the first thing that comes to mind when anyone hears the name "Puerto Rico" is beaches, beaches, beaches. Being a Caribbean island, this is expected and Puerto Rico does not disappoint with this at all with countless number of easily accessible beaches as well as hidden beaches in mangroves. 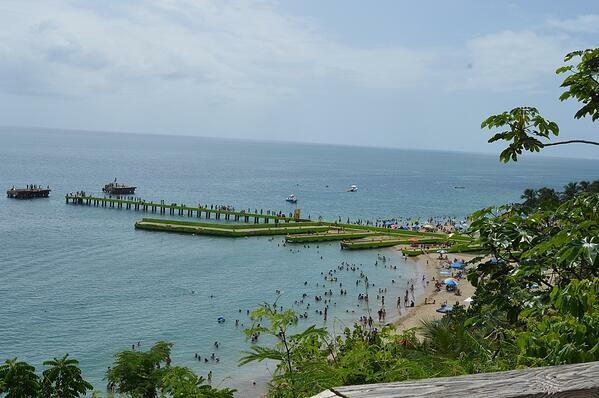 There is more to the island than just beaches though. There is the iconic Castillo San Felipe del Morro (also known as El Morro) which has an iconic scenery that looks straight out of a Windows wallpaper where people often go for walks or to fly kites. The smaller islands like Vieques and Culebra have been said to have some of the most beautiful beaches in the world. Puerto Rico also has different locations where bioluminescent plankton can be seen at night. As if this isn't enough, the island is booming with salsa in every corner and everyone is ready to dance and enjoy the moment. 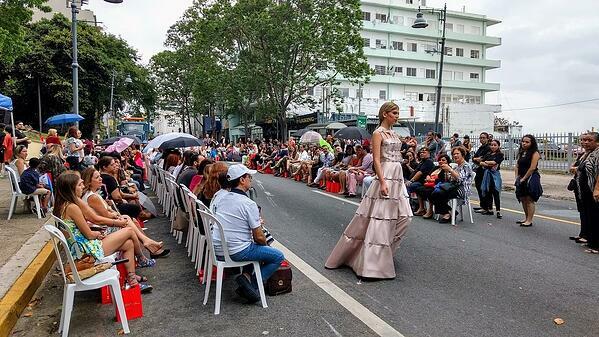 Overall, Puerto Rico was a great 360 experience for us facilitated by Parallel18 where we were able to build a better infrastructure to help serve our community of fashion designers and clothing manufacturers and provide a richer experience overall. For this, we would like to extend our deep appreciation to the Paralle18 team for choosing to believe in us as well as the mentors who took their time to give us a helping hand. Parallel18 is a program we will definitely recommend to startups. Even though we have physically left the island, we'll excited to continue working with our customers from Puerto Rico and collaborating with our partners there and we will continue to look for other opportunities to engage with the island in the future.